Essential oils can be used for so many different things, so I thought I might start sharing some great uses of a different oil each month. This month, it’s Peppermint! Mix a drop of peppermint oil with a bit of lavender to soothe the itch of sunburn; cool and refreshing! 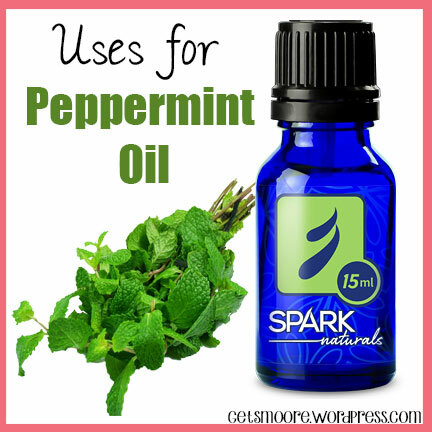 These are just a few of the many uses for Peppermint Oil. I may just have to add a drop to my ice water for an afternoon boost. If you’re interested in receiving a new essential oil each month, Spark Naturals has an Oil of the Month Club! Each month they’ll send you a new oil for only $15.99, shipping and tax included. This is a great way to build your collection. Easy Cheesy Mexican Rice in the Rice Cooker!